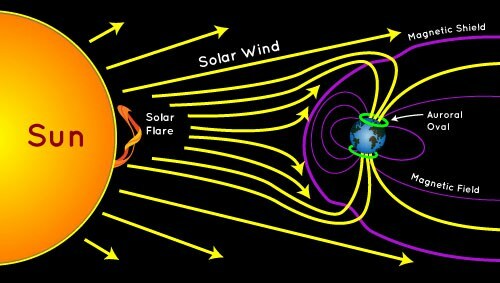 This is very interesting because, according to a study published on June 23 on Nature about fluidomechanics (in fact it is called mechanical magneto) of the coronary ejections of the Sun indicates that these ejections are not so “solid” in the sense of being a Newtonian fluid, as we considered. Come on, it does not behave like a “bubble” and if more like a cloud. It seems to be, and here comes the interesting thing, that during the bursting of the bubble this moves faster than the information it carries (something very important) making its behavior more erratic and this more influenced by the stellar winds than expected and Which, therefore, the predictions that many use to know where and when there will be auroras (for example) are less real than we calculate. That is to say, the article tells us the importance of not only calculating the moment and the amount of solar mass ejected but also the force and direction of the stellar winds that are at that moment and that, these winds, also influence our magnetosphere And in the charged particles that arrive at it being able to drag and take out a great number of those that should (magnetically) enter our atmosphere. In short, there are more variables than those considered and we have to study much more. How nice!.